If you are brand new to yoga or have a little experience my classes are just for you (also a perfect opportunity to drag that friend along who has been promising to try yoga too but has never got round to it). You will learn key yoga postures and the fundamentals of a yoga practice such as the importance of breath and alignment. You will also be introduced to some basic yoga philosophy and basic breathing techniques. Each class builds on the one before it, practicing in a relaxed, friendly and non competitive group setting. What to expect from my yoga classes? When you come along to one of my classes you can expect a moderately paced class which will focus on integrating the breath with asana (poses). 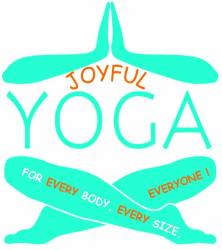 Sometimes there will be a theme to each class including a little history and philosophy of the poses we are practicing, aiding your understanding of how the yoga you are practicing fits within the original spiritual context of yoga. The class will also comprise of warm up exercises, progressing onto holding stronger poses that will be a mix of seated, standing, twists, forward and backward bends, balances and inversions, vinyasa style flows ending with a breathing exercise and relaxation. What do I need to wear? Being comfortable when practicing yoga is important as is wearing clothes that stay put as there is a lot of bending, twisting and stretching in class. Please wear clothing that does not restrict these movements or wear clothes that are too loose and may ride up mid pose. Do not worry about what to wear on your feet as yoga is practiced in bare feet.